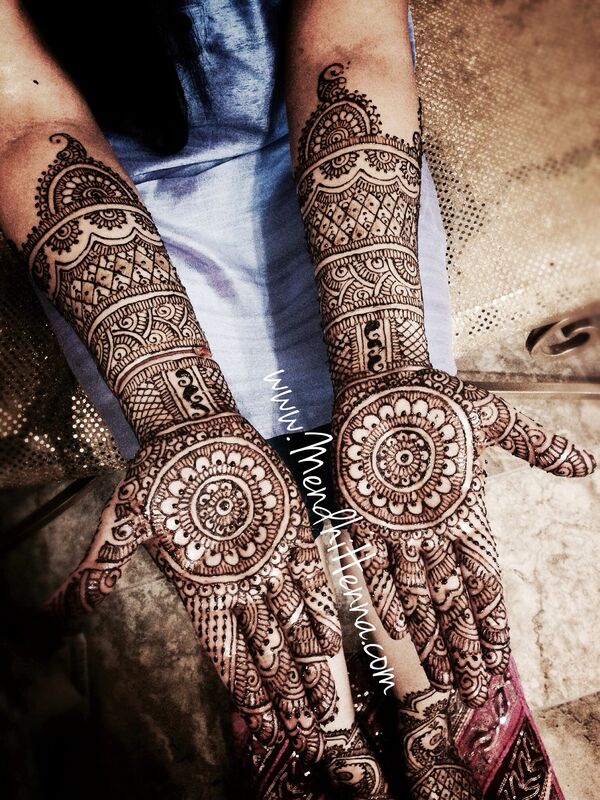 Take a look at some of the finest and beautiful henna designs for a winter wedding! The awesome winter wedding season is on its way. In no time, there will be a sudden chill in the air, in fact, you might feel a nip in the air as soon as you open the window of your house. Cold weather would soon be saying a big hello and all you lovely girls getting married this winter will get busy with all the bridal shopping. Our genuine advice to you would be to have a checklist ready. Make sure to create a list of things that are of top priority, from purchasing an exquisite wedding lehenga to booking an appointment for your makeup to hiring a mehndi artist. Wearing henna is an important pre-wedding custom. To be able to enjoy on your mehndi night it is imperative that you do all the homework way well in advance. From selecting your design for hands and feet to getting started (at what time that day)on it’s application on the henna night, all this will ensure you have a good time on one of the most fun pre-wedding ceremonies. 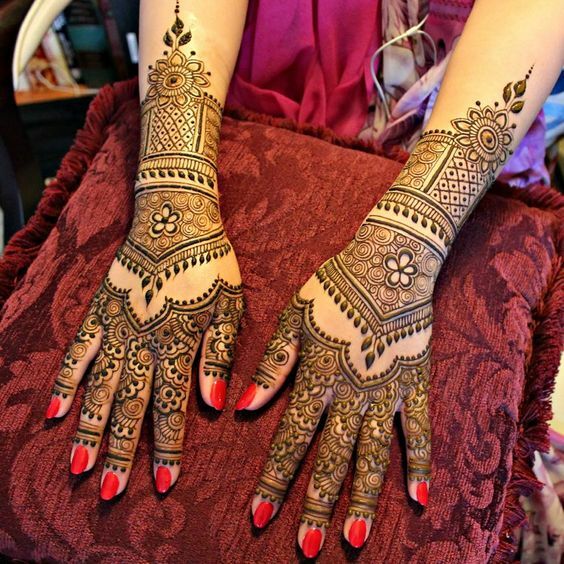 To ease your pressure, we have got your 18 pretty henna designs to choose from. Take a look at them all and get inspired by their intricacies, patterns, and styles! 1. Floral vines and related designs: Enhance your beauty with the floral designs and patterns. 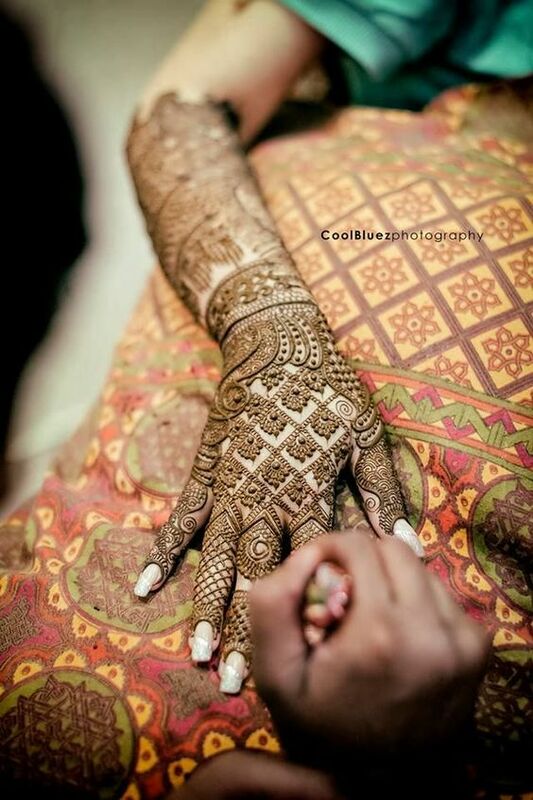 This style of henna is extremely popular in Asian countries such as India, and Pakistan. 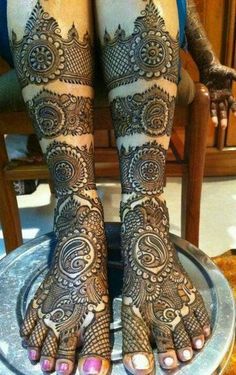 The stunning floral vines, lotus, rose, sunflower and so many other flowers represented on the bride’s hands and feet adds charm and elegance to her overall personality. The way to make this henna design look cool is by letting the motifs have lots of unique curls and curves, without leaving much space in between. 2. Indian designs: Throw in a few more India-related motifs such as peacocks, paisleys, bride-groom and other traditional-wedding related figurines/symbols such as dhol (drum), shehnai (trumpet), and there you go! 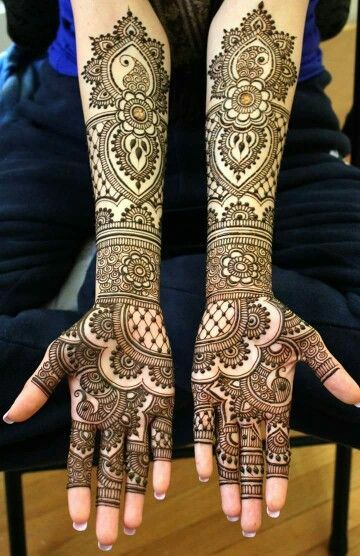 This henna design is beautiful and traditional. 3. Arabic designs: Highly dense, Arabic mehndi designs are more like decorative outlines than filled patterns with bold outlines. Much simpler (and minimalist in nature) than Indian designs, you’ll mostly see just thick outlines of leaves, flowers, and vines. 4. Indo-Arabic designs: Extremely trendy and stylish, add glamour to your ultimate bridal look with the bold Arabic style outline which is filled in with delicate, traditional Indian patterns, and shapes. The most sought after style for Indian weddings. 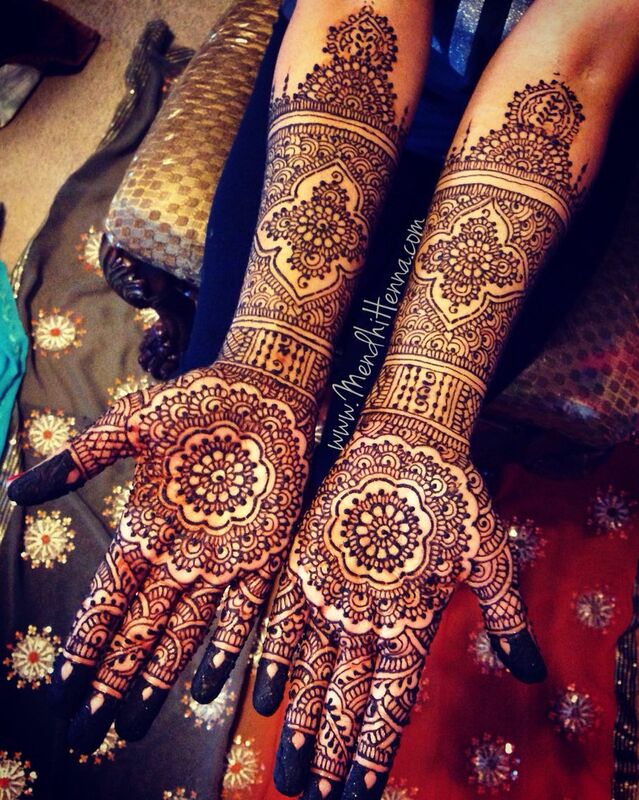 Here are best of the best henna designs for you. Hope you have a great mehndi night. Here is wishing you in advance!